Finally, 64-bit support! No more needing to mess around with shortcuts to get shimeji working. Thanks to the work by TigerHix on Github; I incorporated some of their changes into my build. To use this new version with an existing shimeji, the only file you will need to replace from this version is shimeji-ee.jar. Thanks a ton. I needed this. How do you make an anamation without Winzip™?!?!? Thank you so much for making this! I couldn't get the (rather old) version running on a Windows 10 computer, but this works perfectly now. Will definitely be using for all future shimejis. And the English menu and additional options are great, too! 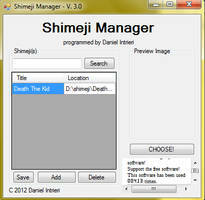 I downloaded shimeji-ee, and I have the latest version of java. I already extracted the files and stuff, but when I tried to open it (in the jar. version), it made me choose which app I wanted to download it with (notepad, paint.net, etc...). So I manually searched for javaw.exe (like you said in the comments) and tried to open it using that, but nothing is happening. What should I do now? EDIT: I tried to open it with another file, javaws.exe. It says "Unable to Launch the Application". Hello. I've been trying to download this file to my computer to use as a shimeji. But it always comes up as an internet explorer file. Could you message me and give me personal instructions on how to deal with this? I want to give you a hug so badly. Thank you so much, I've been trying to get my Shimejis to work but since it was all in japanese it my computer didn't recognize anything. So with this in english I have my Shimejis! does it work for chromebooks? esta es la version calmada? When I run Shimeji-ee.jar with my standard Java.exe file I found in Program Files, I get a super ridiculously quick command prompt error that reads: Could not find or load main class C:\Users\imgur.com/a/fmYCz\Downloads\shimejiee\shimejii-ee.jar. What do I do? could i have a custom shortcut please? Nothing happens when I run it with Javaw. Reinstalled Java several times. Still nothing. Trying to make custom doomguy shimej. pls halp. Hi, every time I try to open a .jar file it says I need to run it with another app. Is there any way to fix that? I do have Java, (I have two other shimeji image sets working right now) this certain shimeji's .jar file won't open on it's own. And I've tried pasting in a shimeji.exe and a batch file (it did not have either) and that hasn't worked either. So, do you have another Shimeji set (not counting this one) that works? like, its own folder and program? Hello! I downloaded the latest ver and it doesn't seem to wanna work.. I have the latest ver of Java. But the .exe file won't show. Would we be allowed to make Shimeji 'Your Character Here' commissions with this? 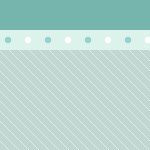 ;O; As in I redrew all the frames with my own art and just used the coding to put them all together? Right on, thank you so much! um, I installed the programs needed for this thing to work, but I have a slight problem.... it says that I am unable to install java for some reason. I don't know if it's my computer messing around with me or just me simply going crazy over trying to get this silly little program to run or not, but I want an explanation for this problem. sorry if I'm unable to include any screenshots at this moment, it's just that my computer somehow allows adobe flash player to run, but not java. I'm not going to be too much help there alas if i won't install Does it give any error messages or anything? Good work on new version. Does this work with mac? 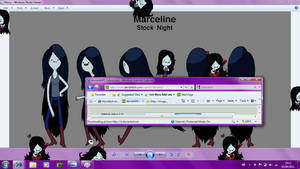 Edit: I'm not a mac user, but a lot of people said to me they can't get the shimeji work on mac. This version doesn't alas. Maybe one day I can port my changes over if I can get access to better equipment. How do you get the mischievous shimejis? You edit the coding for the shimeji and set a ridiculously high number for it's (behavior) file for Pull up Shimeji and Split into Two. Just give it a high frequency and you will quickly have a nightmare on your hands. Btw,is there going to be more general updates (shimeji actions)? Hi, I'm trying to construct a shimeji of my own, may I ask how many frames is the animation running on? Like is it 24fps? 30? This prompt has officially closed! Winners will be disclosed tomorrow, thank you to all who have joined! Before you do anything, or comment anywere, please make sure you read the CUSTOM TERMS OF SERVICE! Since the TOS holds all the rules and the form you will be filling out after I accept your slot ,and of course the prices of what Griffians I can offer! AND THIS IS NOT FIRST COME FIRST SERVE so no need to rush reading over anything! Hello there customer! Welcome to this weird sale journal. Let me break down how it works and what to do if you are interested to buy a Griffian from me!